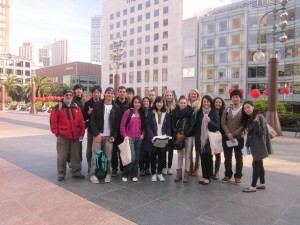 We’d like to congratulate Hidetoshi Koki on becoming one of our student ambassadors here at EC San Francisco! He has been a great asset to the student ambassador program and we’re looking forward to what he’ll be doing in the future. I’m Hidetoshi Koki from japan. I have been here for three month and I’m planning to stay here six month more. My hobby is: playing watching baseball, eating, reading. If you need any help, student ambassadors can help you.